Hey y'all! Today, I'm sharing a spring look that will definitely be on repeat this upcoming season. I have some serious spring fever so I can't help but wear some of my new spring pieces right now... even when it's freezing and I'm so pale. Haha! Also, my husband and I finally booked our tenth anniversary trip to Cozumel, Mexico which has me even more excited for the warm months that are coming up. I love having something to look forward to! Ok so back to the outfit! This dress has been on my wish list for awhile now. Maybe since last spring?! 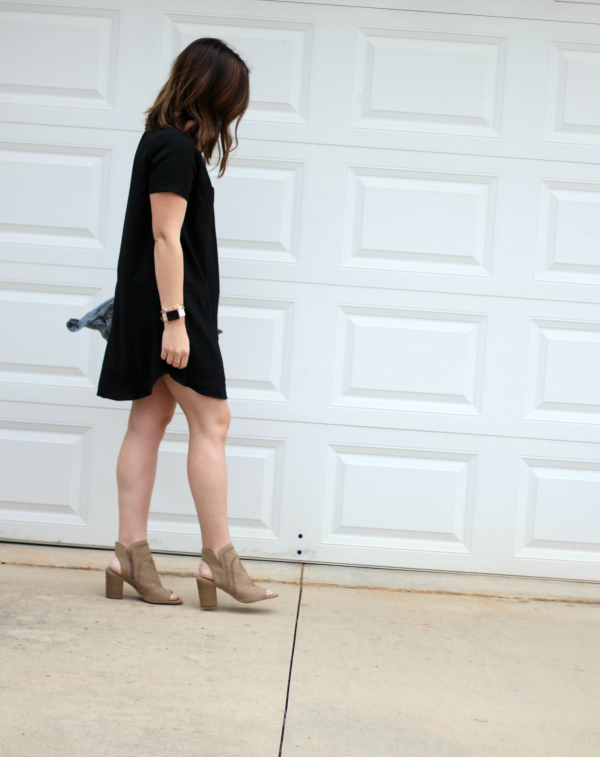 It was definitely time for me to upgrade my little black dress for spring and summer so this was my first choice! I own several items from this brand and the quality is amazing. Everything washes up so well and I consider them to be elevated basics because the styles are classic but the fabric and details make them a little more special. 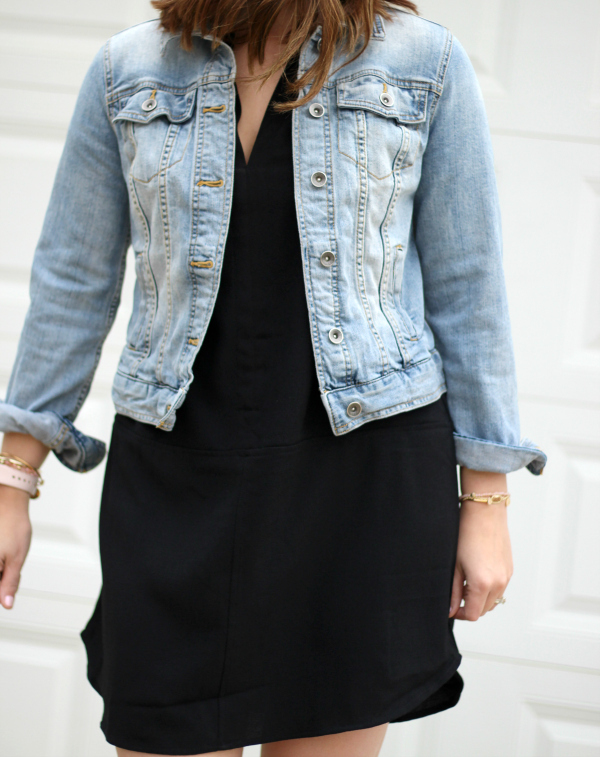 I added my go-to denim jacket to this look as well as peep toe ankle boots. This outfit is simple yet put together, which is my absolute favorite. 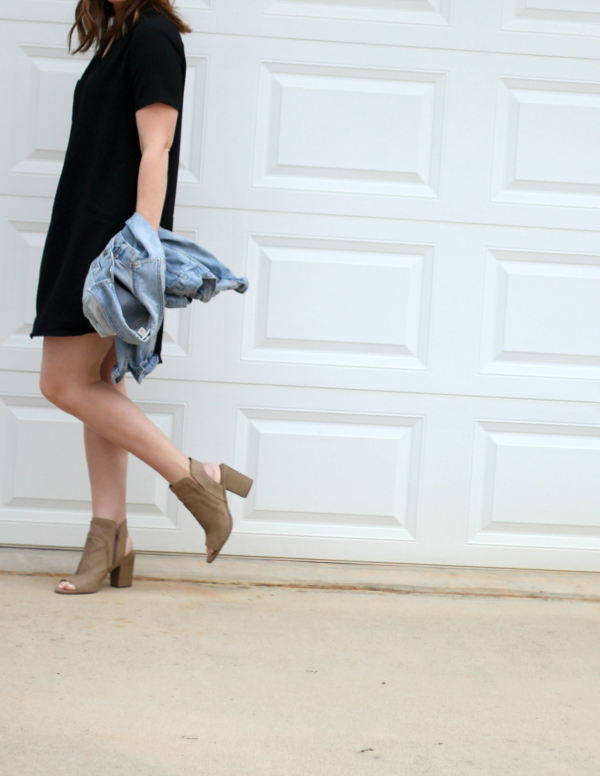 There's no need to overthink it when you have a great little black dress! 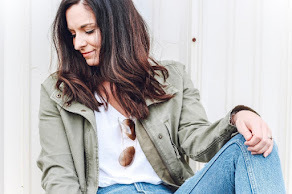 I'm all about minimalist style at this point in my life and it's easy to dress that way when you have classic closet staples ready to go in your closet. For sizing reference, my jacket is size small, my dress is a medium (I sized up for a little extra room in the shoulders and a little more length), and my shoes fit true to size. Oh and a shout out to my seven (almost eight) year old photographer for the photos! She had a blast using my camera! You are the cutest!!! Love this whole outfit soo much .. major Spring vibes!! The overall look with the outfit comes out perfect!